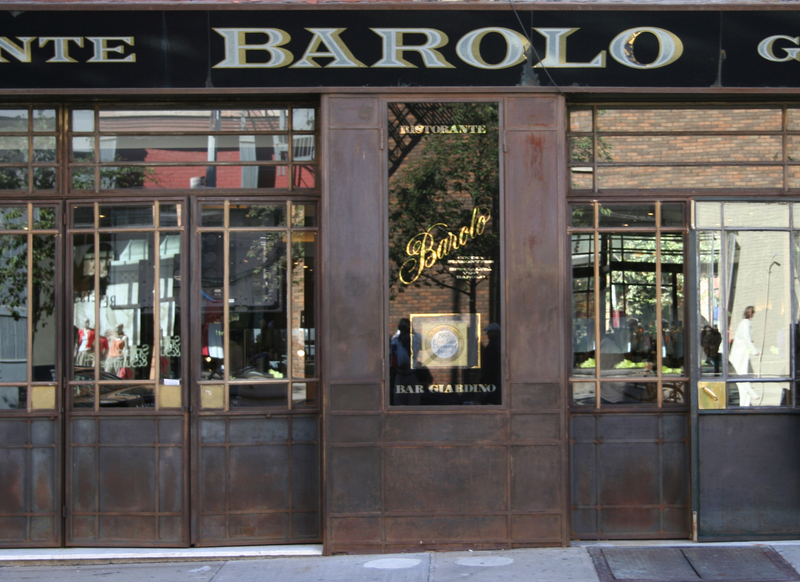 Barolo (1989). Detail of restaurant signage. Barolo (1989). Detail of facade with lettering. Barolo (1989). Restaurant signage. Art direction by Studio Morsa. 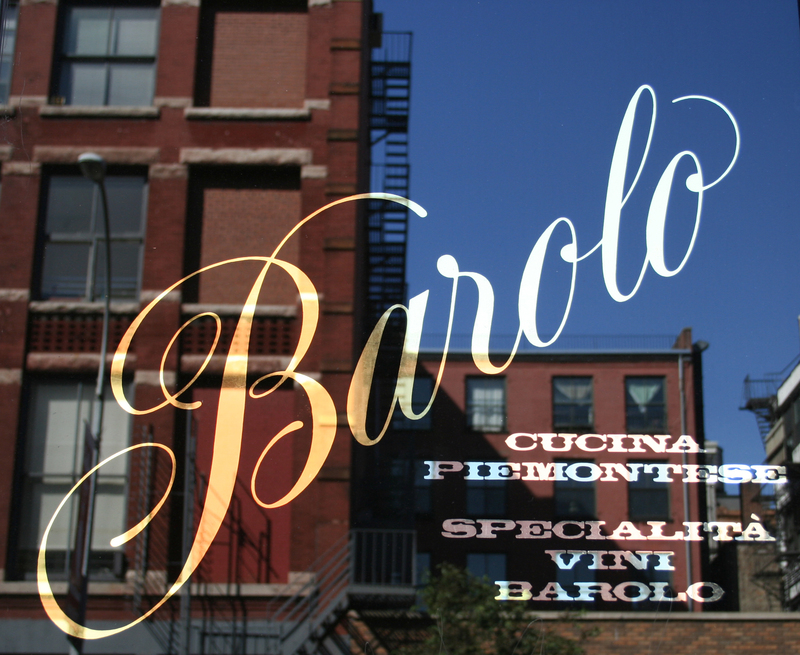 “Barolo” was handlettered while the remaining text was drawn, using various antique Italian typefaces as models.